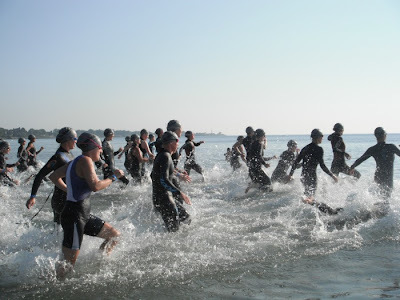 The swim is easily my favorite part of a triathlon. It might be the shortest part of the race, but it's the one discipline that rarely leaves me disappointed with the results. 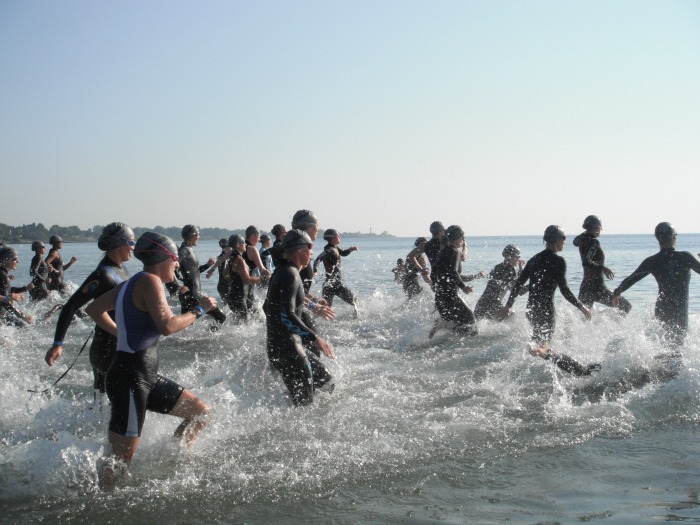 Just don't count two races in Chicago: one were I hyperventilated for some unknown reason, and last year where a rip current took over most of Lake Michigan and left triathletes swimming upstream. So if there's one portion of today's Ironman 70.3 Racine that I want to remember, it's the swim. That plunge into Lake Michigan to swim 1.2 miles was divine--the coolest, literally and figuratively, part of the day. Stay tuned for a race report, but I'll be catching up on some sleep and hydration first.